Romain Camille De Boom wrote down the names and relationships of his siblings, uncles and grandparents. See his RC DeBoom_Notes of 1892. Note the interesting graphic on page 6. 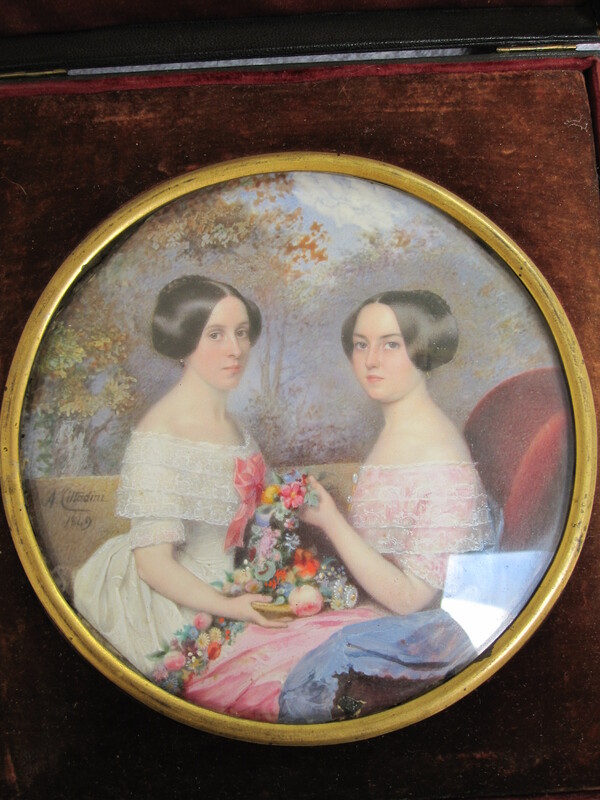 The miniature to the right is of Cornelius’ sisters Johanna Frederica and Virginia De Boom, painted by Alessandro Cittadini, a fashionable Italian-Belgium painter of the mid-19th century. We know that RC’s brother, Benoit (pronounced ‘Ben-WAH’) was about 5’11’, with blonde hair, blue eyes and an oval face when he was a medical student from Denderleeuw. See his French visa dated September 4, 1871. 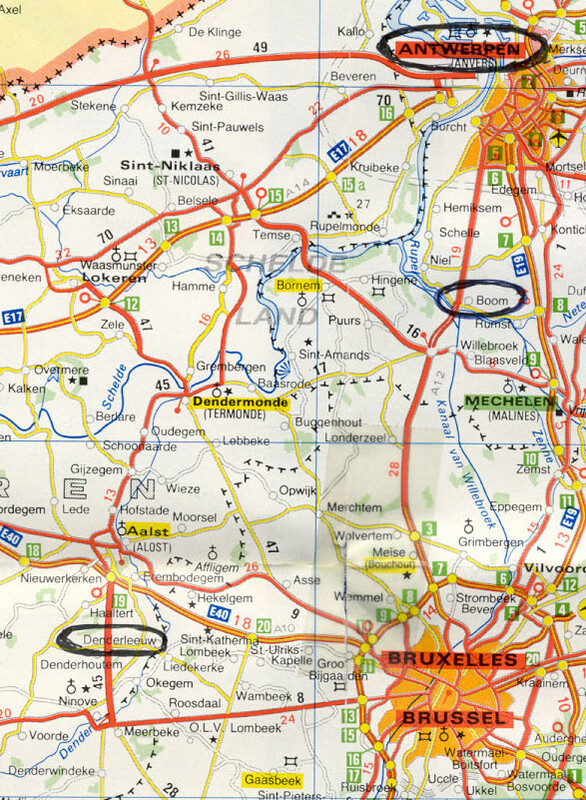 WHERE ARE BOOM & DENDERLEEUW (Lion’s Tooth)?